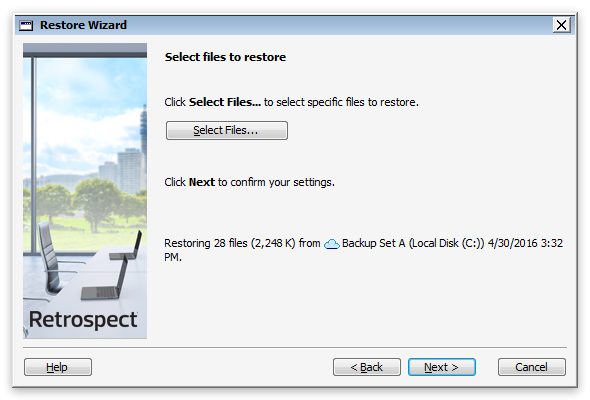 Retrospect protects your entire computer out of the box. 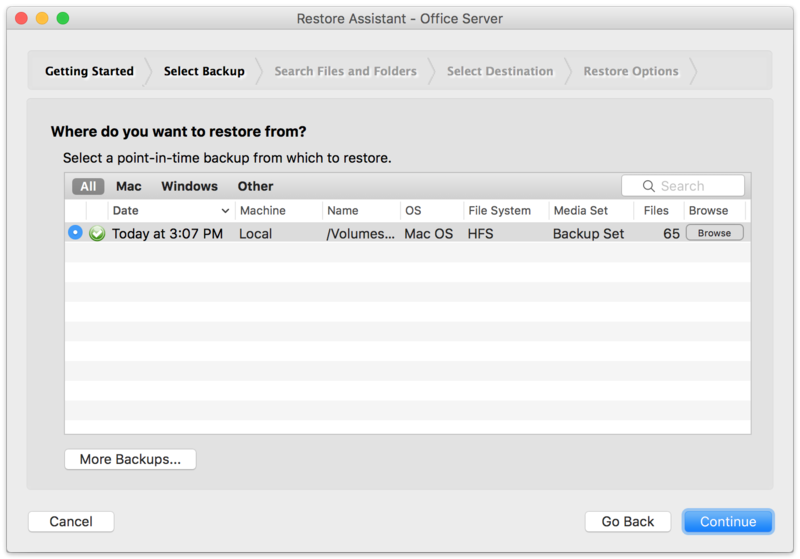 To only protect Apple iWork documents, we will walk through creating a rule to identify only Apple iWork documents, creating a script for it, running a backup, restoring a file from the backup, and transferring to a different set. 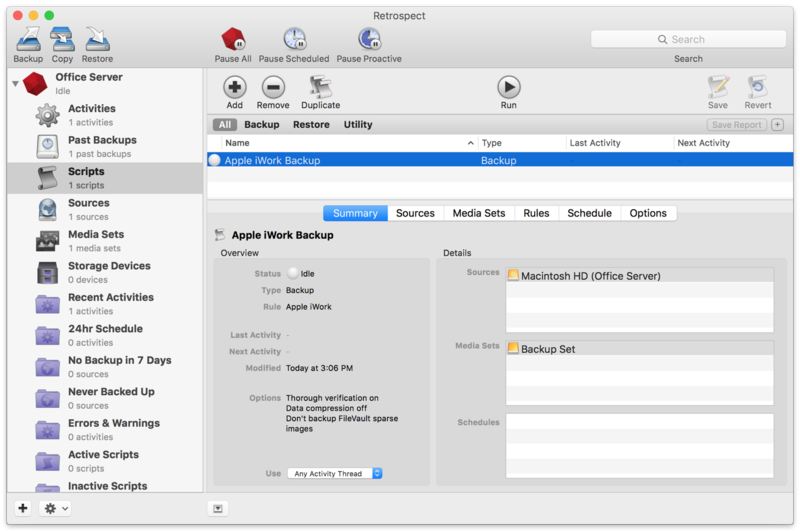 We have included instructions for both Retrospect for Mac and Retrospect for Windows, as both support Mac systems as clients. 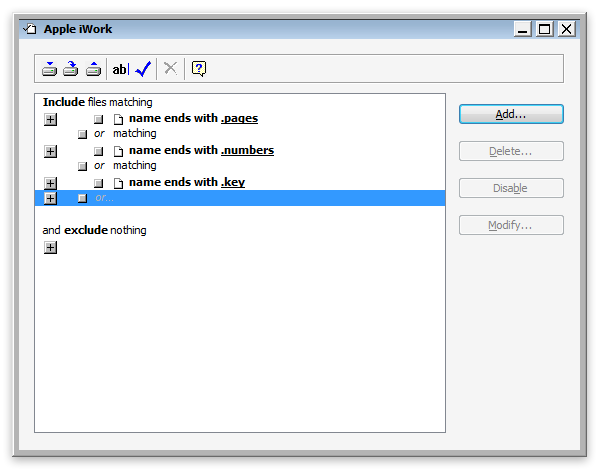 We'll create a rule to identify only Apple iWork documents. 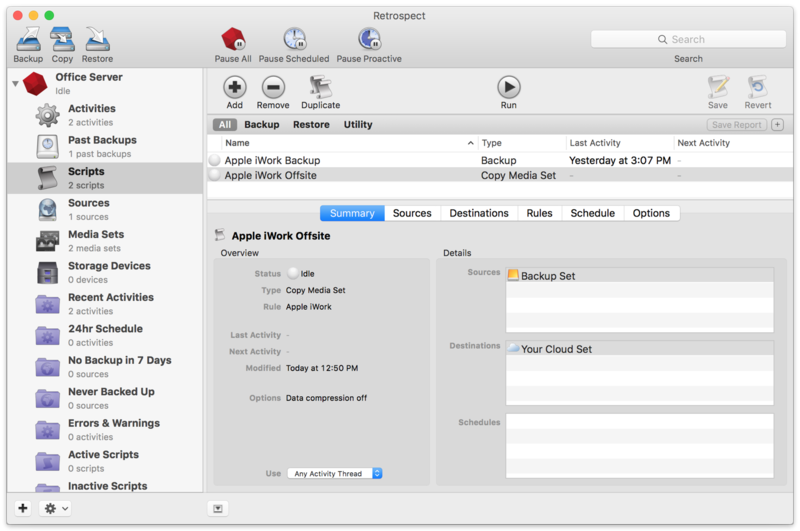 Click "New...", use "Apple iWork" as the title, and click "OK". Apple Pages: File name ends with ".pages"
Apple Numbers: File name ends with ".numbers"
Apple Keynote: File name ends with ".key"
Click "Selecting" and select "Apple iWork" then click "OK". 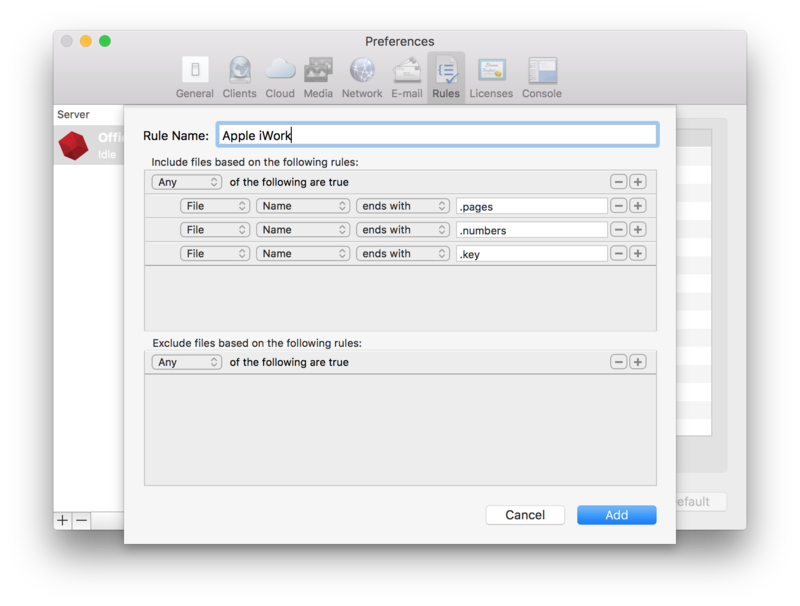 Finally, under "Rules", select "Apple iWork". 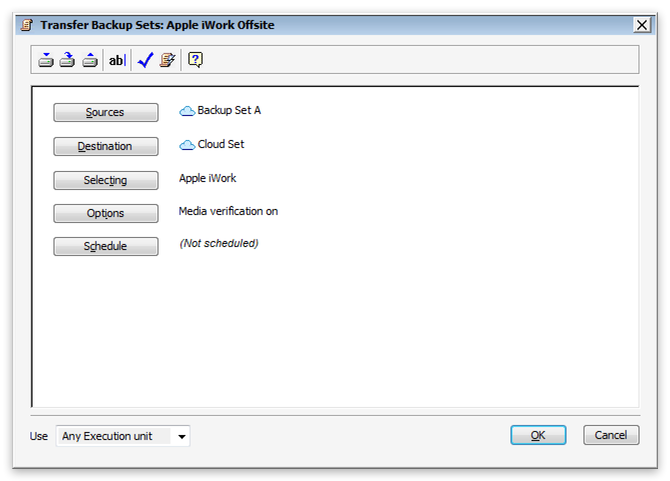 We will perform a backup set transfer to a cloud storage location but only including files matching our "Apple iWork" rule. 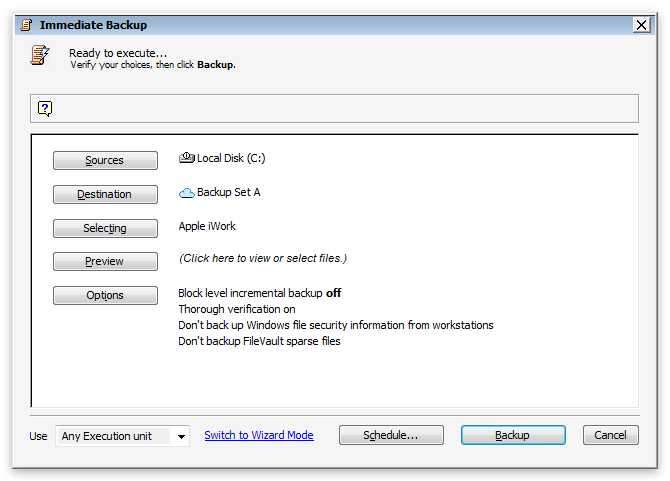 Please set up a cloud set beforehand, following our Cloud Backup - How to Set Up a Cloud Backup.